Does your child have dyslexia? Have school district personnel ever told you that they cannot recognize dyslexia as a disability on the IEP? If so, they are incorrect. In fact, IDEA says just the opposite. Dyslexia can be considered one of the many possible specific learning disabilities. The date that the parents applied to the private school? The date that the private school accepted the student? The date that the parents returned the acceptance letter to the private school? The date that the parents sent in their first deposit to the private school? The date that payment was made in full? The date that the parents notified the public school district that they were withdrawing their child from the public school, and enrolling him or her at the private school? Parents might have a bit of a reprieve from the 90 day burden if the school district did not provide the parents with notice of their special education rights, which they usually do at least annually. If notice was not given, then the 90 days would not start running until proper notice is given to the parents. I. Any action against a local school district seeking to enforce special education rights under state or federal law shall be commenced by requesting an administrative due process hearing from the department of education within 2 years of the date on which the alleged violation was or reasonably should have been discovered. II. Notwithstanding the provisions of paragraph I, any action against a local school district to recover the costs of a unilateral special education placement shall be commenced by requesting an administrative due process hearing from the department of education within 90 days of the unilateral placement. III. Where the parent, legal guardian or surrogate parent has not been given proper written notice of special education rights pursuant to 20 U.S.C. section 1415(d), including notice of the time limitations established in this section, such limitations shall run from the time notice of those rights is properly given. The department of education shall make available a model notice of rights which school districts may use as one means of complying with this paragraph. Consider this hypothetical (or not so hypothetical) situation: You have made the decision to move to a different school district. Your child is on an IEP. The new school district believes that the services documented in the IEP are not appropriate, and tells you that they will not be providing those services, or that they do not have anything comparable. In the above situation, is the school district operating within the law? NO! The Individuals with Disabilities Education Act (IDEA) is very clear that when a child changes school districts within the same state, “the local educational agency shall provide such child with a free appropriate public education, including services comparable to those described in the previously held IEP, in consultation with the parents until such time as the local educational agency adopts the previously held IEP or develops, adopts, and implements a new IEP that is consistent with Federal and State law.” 20 U.S.C. § 1414(d)(2)(C)(i)(I). Massachusetts has very similar wording in its regulations: 603 C.M.R. § 28.03(c)(1). In other words, the new district must immediately provide services that are comparable to the old district’s IEP. At some point, the new district will need to decide whether it will adopt the old district’s IEP, or attempt to develop a new IEP. If the new district tries to develop a new IEP, that new IEP would not be considered the effective IEP until the parent accepts it. For families who are moving across state lines, the IDEA provides very similar wording and protections. The big difference for families changing states is that the new district must provide comparable IEP services until the new district conducts an evaluation of the student and develops a new IEP. 20 U.S.C. § 1414(d)(2)(C)(i)(II); 34 C.F.R. § 300.323(f). There is also often a question of records. How do the old records get to the new school? Again, IDEA defines the district’s responsibilities. The new school “shall take reasonable steps to promptly obtain the child’s records… from the previous school in which the child was enrolled.” 20 U.S.C. § 1414(d)(2)(C)(ii). I will be participating at the 2nd Annual Metrowest Special Needs Resource Fair. There will be vendors available to discuss their special-needs based programs, services and resources. The event, sponsored by the Natick SEPAC, will be held at Natick High School, 15 West Street in Natick, this Sunday, February 10, 2013 from 1:00 PM – 3:00 PM. Admission is free. If you are there, please stop by and say hi (I will be at Table 14). I would be happy to talk with you about special education legal issues or special needs estate planning. Hopefully the impending snowstorm will be cleared out by Sunday! For more information, go to the Natick SEPAC web site. My Child Was Suspended for Having a Knife at School – Now What? The first assumption I am going to make for this blog article is that the child has an IEP. Having an IEP does make a big difference in terms of how the school can deal with disciplining the child. There are three distinct discipline time-frames that should be considered. The first time-frame is short term, and concerns suspensions for 10 school days or less; the second time-frame is medium term, and concerns discipline for up to 45 school days; the third time-frame is long-term, and concerns discipline that might extend beyond 45 school days. Regarding a 10 day suspension, the federal Individuals with Disabilities Education Act (IDEA) applies. Under the IDEA, “School personnel… may remove a child with a disability who violates a code of student conduct from their current placement to an appropriate interim alternative educational setting, another setting, or suspension, for not more than 10 school days (to the extent such alternatives are applied to children without disabilities).” 20 U.S.C. § 1415(k)(1)(B). In other words, a special education child can be disciplined just like a non-special education child for up to 10 school days. The above paragraph applies to any type of discipline issue if the school district is trying to remove the child for more than 10 days. However, regardless of the outcome of the Manifestation Determination, the school district may remove a child to an interim alternative educational setting in various special circumstances. One such special circumstance is when a child possesses a weapon – which includes a knife – on school grounds. 20 U.S.C. § 1415(k)(1)(G). Under federal law, one big question concerns the size of the knife. According to 18 U.S.C. § 930(g)(2), the definition of a weapon “does not include a pocket knife with a blade of less than 2½ inches in length.” If the knife in question is less than 2½ inches in length, the district would not have the right to remove the child under this section of the law. So far we have discussed only federal law. In Massachusetts, state law also applies for longer term suspensions (potentially beyond 45 school days). Under Mass. Gen. Laws ch. 71 § 37H(a), a school principal may expel any student “who is found on school premises or at school-sponsored or school-related events, including athletic games, in possession of a dangerous weapon, including, but not limited to, a gun or a knife.” Any student so charged must be notified in writing of an opportunity for hearing, and be allowed to have legal representation, as well as the opportunity to present evidence and witnesses at a hearing with the principal. The principal does have discretion to suspend rather than expel a student. (Mass. Gen. Laws ch. 71 § 37H(c)). There is also the right to appeal to the superintendent within 10 days of the expulsion. (Mass. Gen. Laws ch. 71 § 37H(d)). To make matters even more concerning, Massachusetts law also states: “When a student is expelled under the provisions of this section, no school or school district within the commonwealth shall be required to admit such student or to provide educational services to said student. If said student does apply for admission to another school or school district, the superintendent of the school district to which the application is made may request and shall receive from the superintendent of the school expelling said student a written statement of the reasons for said expulsion.” (Mass. Gen. Laws ch. 71 § 37H(e)). In other words, if a principal, in his or her sole discretion, expels a student from school because of one of the above violations, the student may not be able to attend public school anywhere else in Massachusetts. Even moving from one district to another might not help. Luckily, federal law does serve as a safety net, such that school districts do need to provide IEP services for special education children, regardless of any discipline decisions that are applied. Regarding the size of the knife, Massachusetts law does not have the same 2 ½ inch provision that federal law does. This means that even if you might have a strong argument that the district should not be able to apply a 45 day removal under IDEA because it cannot prove that the child had a knife larger than 2 ½ inches, the school district would still be able to apply a 45 day or longer suspension or removal under Massachusetts law. The Medway SEPAC will be hosting what should be a very interesting and informative presentation entitled “What the Dracut decision taught us about the Importance of Social Skills and Language Pragmatics in an IEP.” It will take place on January 22, 2013 at 7:00 PM at Medway High School, 88 Summer Street Medway, Ma 02053. The presentation will be free and open to the public. If you plan to attend, you should RSVP to medwayspedpac@gmail.com. Discussions will be led by Elsa Abele MS CCC/SLP & clinical Assistant Professor at Boston University & Professor at the Center For Autism Disorders at Antioch University. 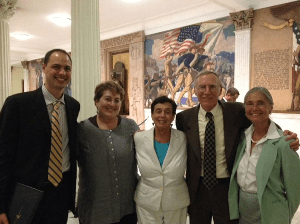 The presentation will also feature two lawyers from the Disability Law Center of Massachusetts who worked on this case, Janine A. Solomon and Pamela J. Coveney. The Dracut case is a very important BSEA decision in Massachusetts, particularly for those students on the Autism Spectrum. If you would like to read a good summary of this case, you can access it here. The complete BSEA decision can be found here.